And this week was almost all apples. In terms of phishing emails that is. 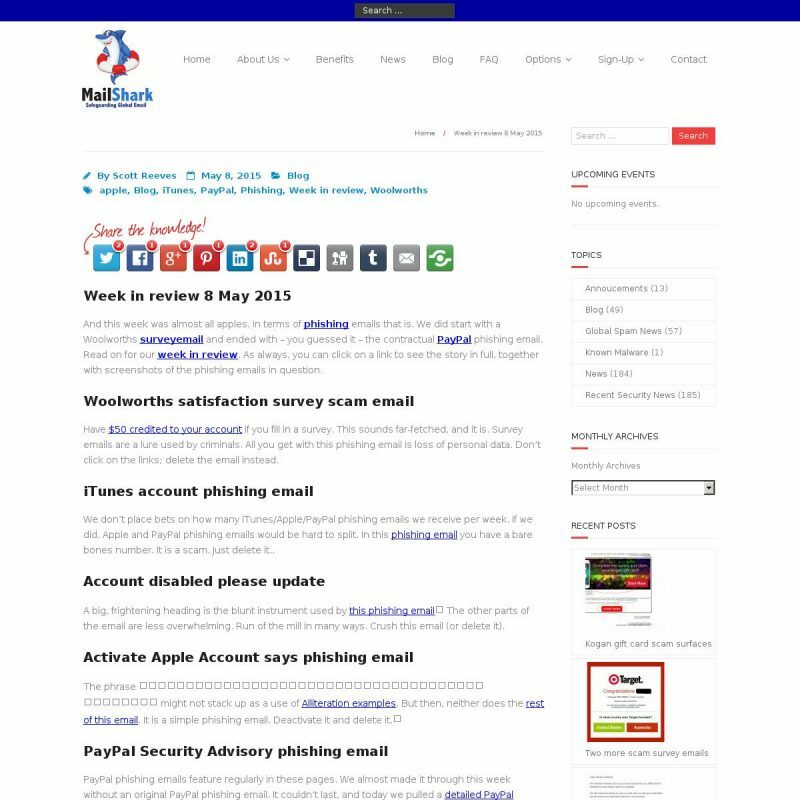 We did start with a Woolworths survey email and ended with – you guessed it – the contractual PayPal phishing email. Read on for our week in review. As always, you can click on a link to see the story in full, together with screenshots of the phishing emails in question. Have $50 credited to your account if you fill in a survey. This sounds far-fetched, and it is. Survey emails are a lure used by criminals. All you get with this phishing email is loss of personal data. Don’t click on the links; delete the email instead. We don’t place bets on how many iTunes/Apple/PayPal phishing emails we receive per week. If we did, Apple and PayPal phishing emails would be hard to split. In this phishing email you have a bare bones number. It is a scam. Just delete it..
A big, frightening heading is the blunt instrument used by this phishing email. The other parts of the email are less overwhelming. Run of the mill in many ways. Crush this email (or delete it). The phrase “We need your action to activate your account” might not stack up as a use of Alliteration examples. But then, neither does the rest of this email. It is a simple phishing email. Deactivate it and delete it. PayPal phishing emails feature regularly in these pages. We almost made it through this week without an original PayPal phishing email. It couldn’t last, and today we pulled a detailed PayPal phishing email from the email filters. It may look realistic, but it is a fake. Delete it.